Patrick Hall, Company Owner & Director, Australian Fire Protection. 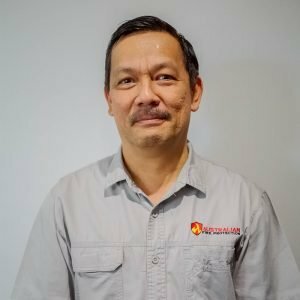 Growing up in Brunei, Patrick would spend his spare time after school earning pocket money by assisting his dad at his fire protection business. Patrick would sand down, refill and paint hundreds of fire extinguishers for the company to provide to the oil rigs owned by the Shell Corporation. After moving to the Gold Coast, Australia in 1986 Patrick was offered the first job he applied for which was at Australian Fire Protection. After many years of diligence and dedication, and the second sale of Australian Fire Protection, Patrick was offered the Company’s title. “Since taking ownership of Australian Fire Protection in 2007, we have seen rapid growth throughout the company,” Patrick explains. Australian Fire Protection offer; in house training at their West Burleigh facility, offsite training with one of the company’s various trainers, other compliance solutions such as evacuation diagrams and fire audits, Evacuation Procedures Manuals, however the company’s most recent success is the implementation of their e-training platform. E-training support officer Kirsty describes the company’s online success, “Starting the e-training service only several months ago, Australian Fire Protection has already seen over 16 companies and over 285 users added to the e-training system”. Australian Fire Protection’s relationship with their customers is quite unique to any experienced throughout the fire industry. Company owners Patrick and Iris value their employees and their customers and that is expressed through the company’s core values and integrity with partners and clients. 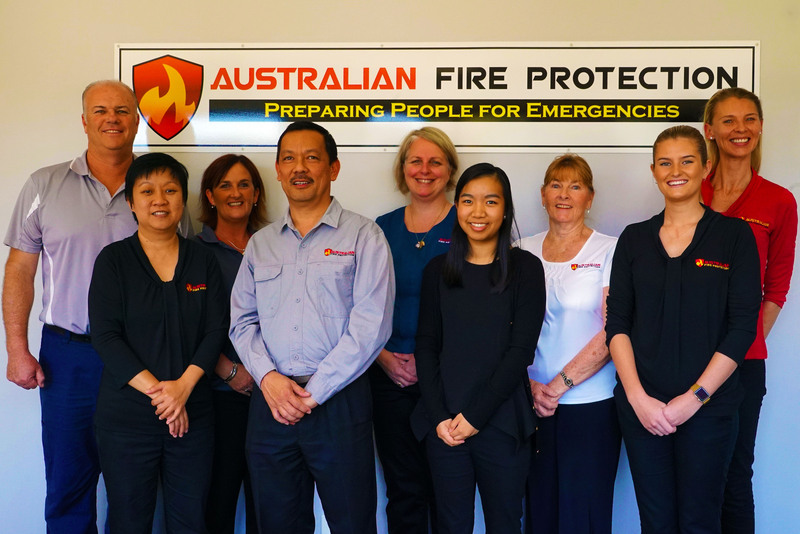 “We care and value each and every customer and their staff, that allows Australian Fire Protection to establish long, lasting healthy relationships with our customers,” Patrick explains. Australian Fire Protection understands that for companies to be compliant in fire safety there are procedures and expectations that must be met. Australian Fire Protection strives to make the required services as simple and enjoyable as possible. With multiple gleaming reviews from past clients, make Australian Fire Protection your first choice for your fire safety compliance requirements. Be prepared for the unexpected with Australian Fire Protection and book your training today by calling their Gold Coast head quarters.